Oh, he looks so handsome! 😀 Remember the saline drops and don’t sleep with ’em on! 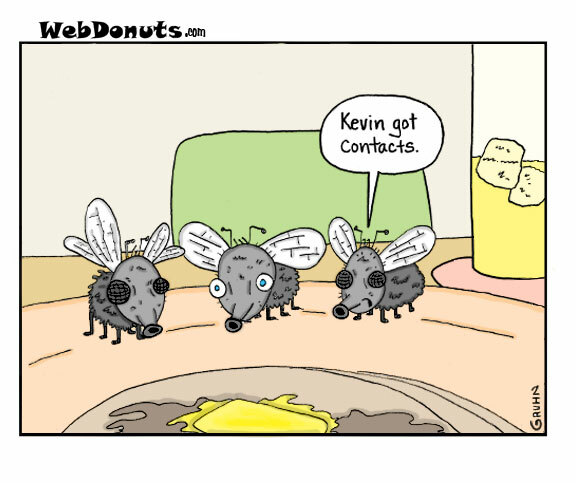 He’s lucky he didn’t have to get 500 contacts. Imagine cleaning your contacts with your forearms! They make him look so hot.